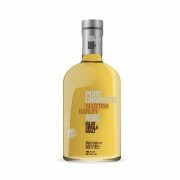 Port Charlotte Scottish Barley is made from 100% Scottish-grown barley that has been peated to a level of 40ppm. For the maturation ex-bourbon casks were used almost exclusively, with a smaller part matured in ex-sherry casks. Port Charlotte Scottish Barley was launched in 2013. The nose is malty and full of brine to begin with, then vanilla and apple flavours develop, backed up by some nice wood spice. Next, there are notes of lemon and lemon peel, followed by a hint of grass. The palate is surprisingly creamy and smooth, given the high ABV of 50%. The vanilla flavours are back, this time accompanied by notes of oranges, liquorice and honey. The smoke is there but is far from being dominant and more like a notable presence in the background. The finish is long, creamy and warming. 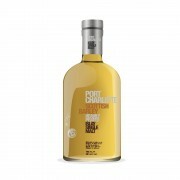 Honey and vanilla have a major role here, too, accompanied by oranges and soft peat smoke. Interesting! This is one of the few cases I have seen where the nose was not overly promising, only for the palate and finish to shine! After the nosing part I had tended towards the lower 80s, but both nose and palate helped improve the overall score significantly. I am repeating myself but the creaminess and the smoothness of the palate continue to amaze me. I also like the interplay between the oranges and lemons, together with the peaty presence in the background. One needs to spend some time with this fellow in order to catch all the intricacies, however this is time well spent. Overall this is very pleasant and satisfying – excellent job, Bruichladdich! I was gifted a bottle of this over the Holidays. Looking forward to it. @broadwayblue, enjoy! Just remember to give it some time. Excellent young stuff from Islay!